The Harmony 1 has the capacity to produce a total of 9kw of heat and is therefore capable of heating much more than a single room and yet can sit discreetly on the hearth of a standard fireplace. 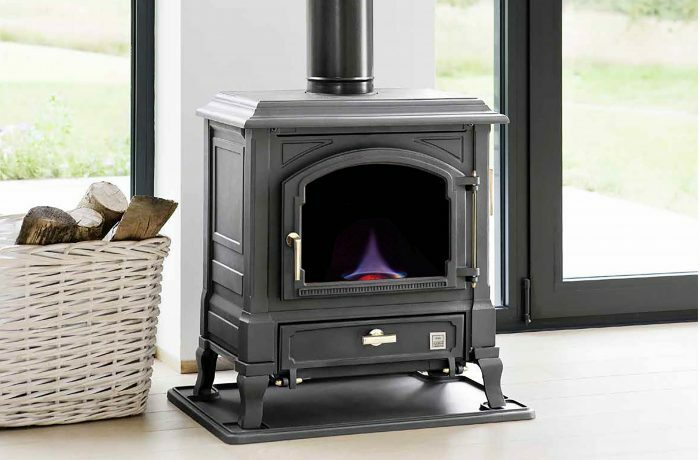 Two boiler options are offered with this stove; the smaller option suitable for heating the domestic hot water and the larger one capable of heating 2-3 standard radiators. The wide glass paneled door offers you a generous view of the fire while its sumptuous finish brings an assured opulence to any hearth setting. The Harmony 1 is available in the painted Matt Black finish.